El Niño is real. As predicted, a series of solid swells are producing substantial surf throughout the North Pacific. The jet stream is firmly established in a southerly position and a seemingly nonstop train of WestNorthWest swells are marching across the NPAC region. Are you tired yet? A couple months ago, I wrote a piece called Swell Affective Disorder. The month of November 2015 was dismal for California surf and I was feeling the effects. Fast forward 2 months and it’s been head high+ for almost 3 weeks straight. We are spoiled. The entire North Pacific is drenched in swell. A new affliction is beginning to affect some waveriders: swell fatigue. Many chest high waves go unridden in between overhead swells. 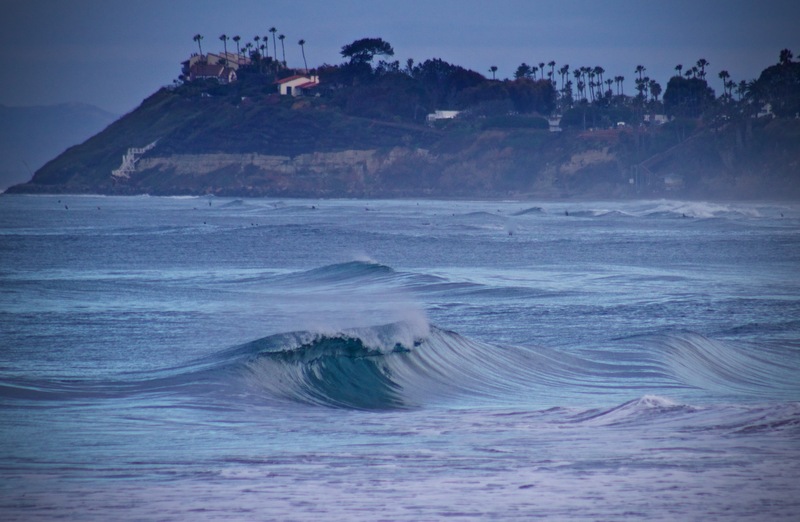 Waves that a dozen people would fight over in July, break empty during an El Niño winter. Arms are tired, backs are sore. Head’s full of water. Wetsuits smell terrible. A chest high wave isn’t as exciting when it was 10ft last weekend and another solid swell is coming in a couple days. “Surfed out” is a real thing. Drive down the coast and check your local spots. Even the most popular might have a significant decrease of heads in the water. You have to go out . Remember flat spells? Remember how it feels after 2 weeks of weak surf? Remember how you crave the Ocean’s energy? There it is. Right out front, right now. Fill your Vision bank. You’ll wish you had this much swell come July. Nothing gold can stay. It will go flat again. The long range forecast will go quiet. And you’ll be left with nothing but the memories of pumping El Nino surf. Always take advantage of swell when it hits your local shore. Previous Post From Body, with love.